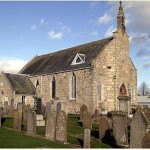 Kemnay Parish Church in Fraser Place, dates from the 12th century but not until the middle 1600’s were parish records kept. 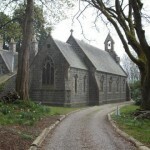 The Scottish Episcopal and Roman Catholic congregations meet at different Churches but all three congregations’ work together serving the community and supporting Christian Aid. 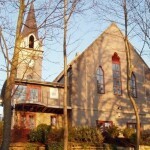 The former United Free Church which towers above the village with main access off Kendal Road, was united with the Church of Scotland in 1929. 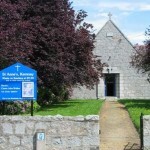 The building was altered and later extended to provide a Church Hall with conference centre, activity hall, meeting rooms and coffee shop. The coffee shop, named Loaves and Fishes, is staffed by volunteers from all three congregations and other members of the community. Surplus profits provide a Fund, which is distributed each year to encourage service at home and overseas from all three congregations and also the community.